This month for Poppin's book nook 'blog hop' the theme is transport. We chose our favourite transport book.'Go!' published by Ladybird. 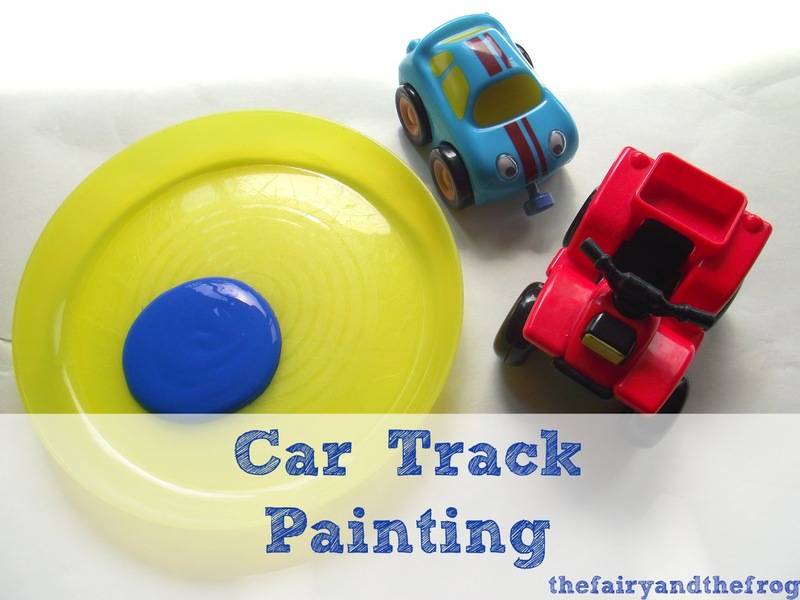 We took the car theme to inspire some car based process art- printing with cars. 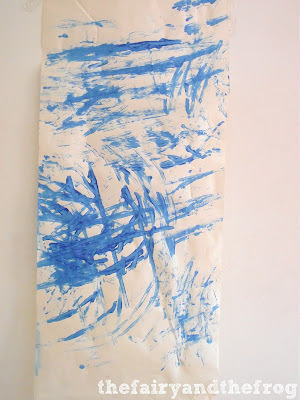 I laid a long piece of paper on the floor (using a mat to protect the carpet). Added paint and two children- away we you Go! It was lovely to see the Fairy and the Frog creating together. Welcome back to Mondays Parenting Pin it party. The top destination for posts related to all things parenting. 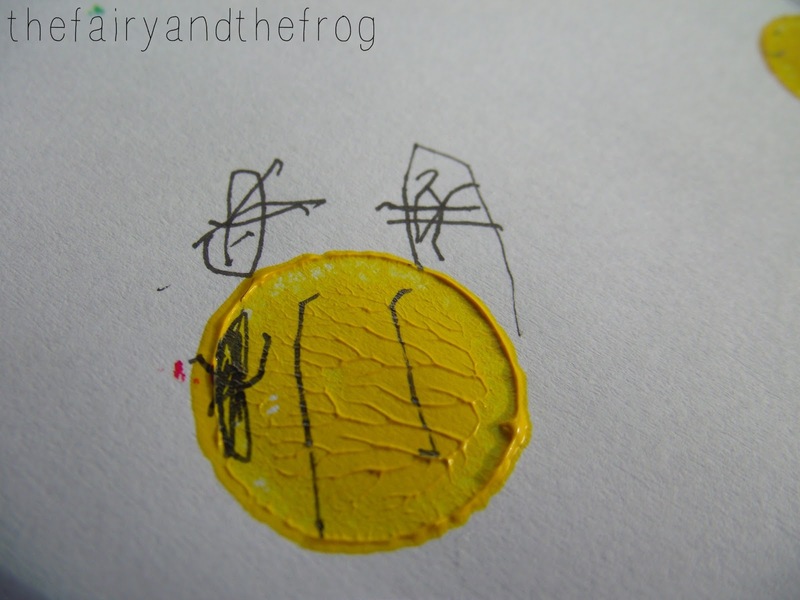 This week it's Kiddy charts turn to pick the posts to be featured. The parenting pin it party is also hosted by Romanian Mum, Mum of One, Mamasaurus and Yellow Days. Don't forget to link up! 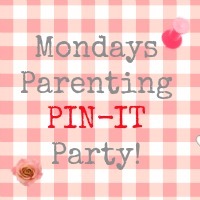 Soooo today is Monday which means its time for the Monday Parenting Pin it party (drum roll). This week's the party is hosted by Romanian Mum. Why not visit her to see which gorgeous ideas she has chosen from last week's entries (you never know if you linked up it could be you!). She also has all the 'rules' for the party (don't worry there's not loads of them). The parenting pin it party is also hosted by Mummy's Little Stars, Mum of One, Mamasaurus and Yellow Days. Don't forget to link up! Holidaying with children can be very different to pre baby holidays. Gone are the days of quiet retreats and relaxing on sun loungers (well gone at least until the kids are a bit bigger). Instead not only do you have to worry about getting value for money by trawling the internet for cheap holiday deals you also have to remember to pack the potty, high chair and buggy. We tend to opt for self catering holidays so we can be more flexible over what the kids are eating and when. Although it may at first not seem as relaxing as a catered holiday, at least you'll know what and when they'll eat (and if The Fairy and The Frog don't eat at the right time we have very grumpy children). I do always make sure where we are going has a dishwasher as cooking AND washing up isn't fun! 1) Painting stones. 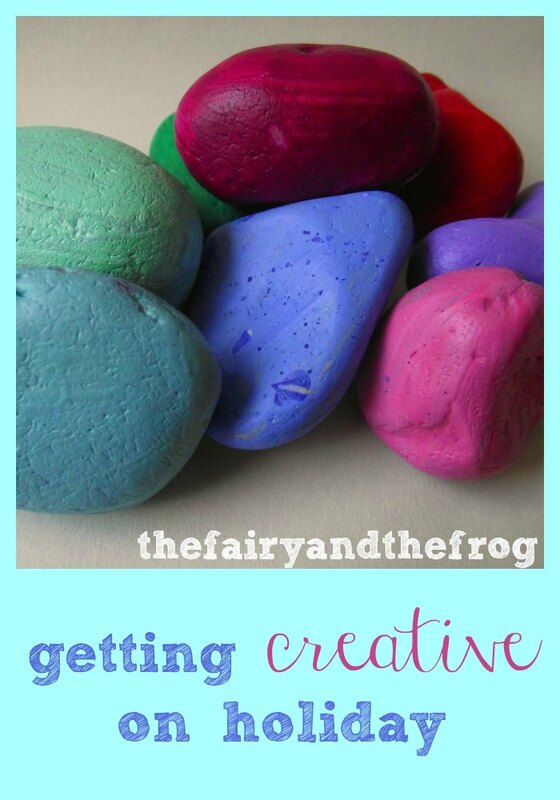 These make great holiday memories and a great starting point for getting creative. Painting something you have collected on holiday makes it seem like the holiday has lasted longer. 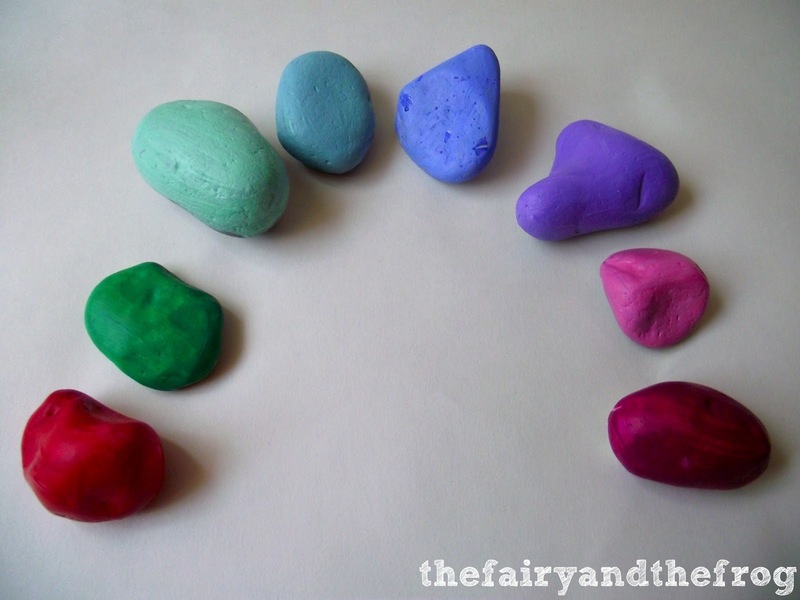 Here are some rocks The Fairy and I have recently painted. We washed them first then painted them using some acrylic paint. We are hoping to use them in a gardening project (more to follow soon!) See another painted pebbles post here. 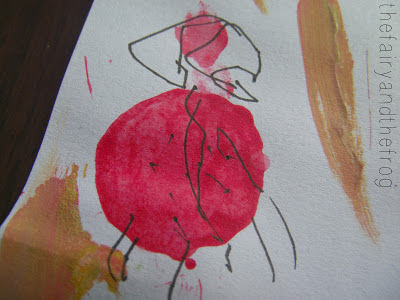 2) Using a sketch book. Holidays are times where you have a bit of extra of time to try out new things and being away from home gives you an opportunity to take a new look at things. Sitting and sketching is a great spark for creativity. 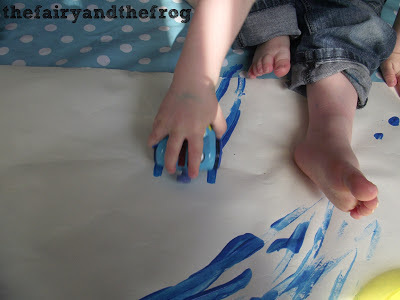 So packing the sketch books can not only be fun it can help to develop observational skills. Don't be put off by thinking you need to be an amazing artist to sketch - give it a try! 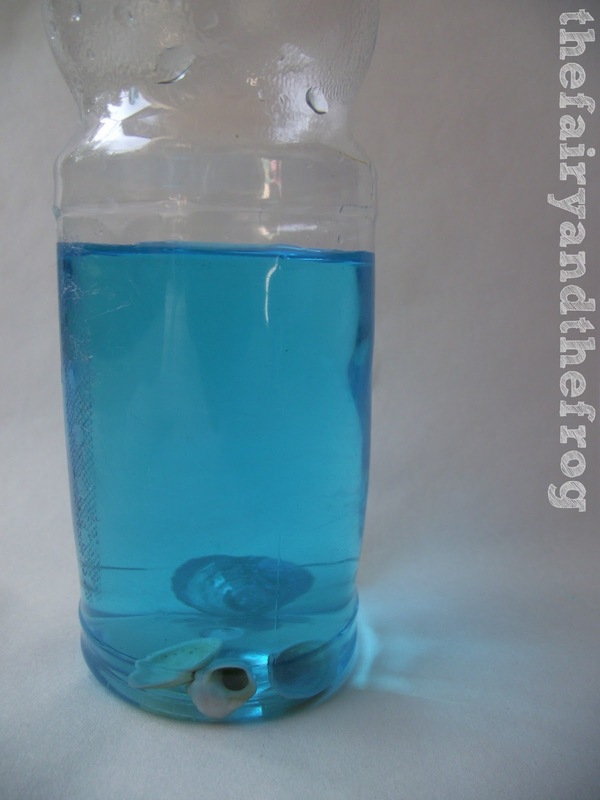 3) Seashell discovery bottle. 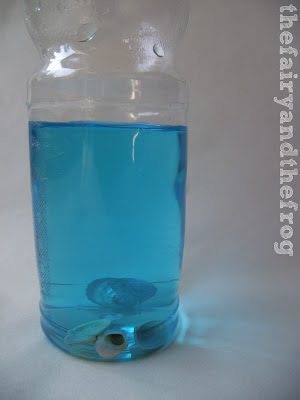 A few shells picked up on a beach walk make a fantastic discovery bottle - just add some water for a mini beach. Or alternatively make a sea shell collage (although do be careful in some countries there a rules preventing you from removing shells and if you take too many then you are increasing the risk of erosion). If you like discovery bottles you might also like this post. 4) Let the kids take the photos. Letting the little ones loose with a camera can be great fun and you end up with some unexpected results. We let The Fairy use an old compact camera, but you might prefer a disposable. Do your children like to collect things? Do you or your kids use a sketch book? Have you got creative during or after being on holiday? Disclamier: This post is sponsored by Icelolly. We received payment for publishing this post. 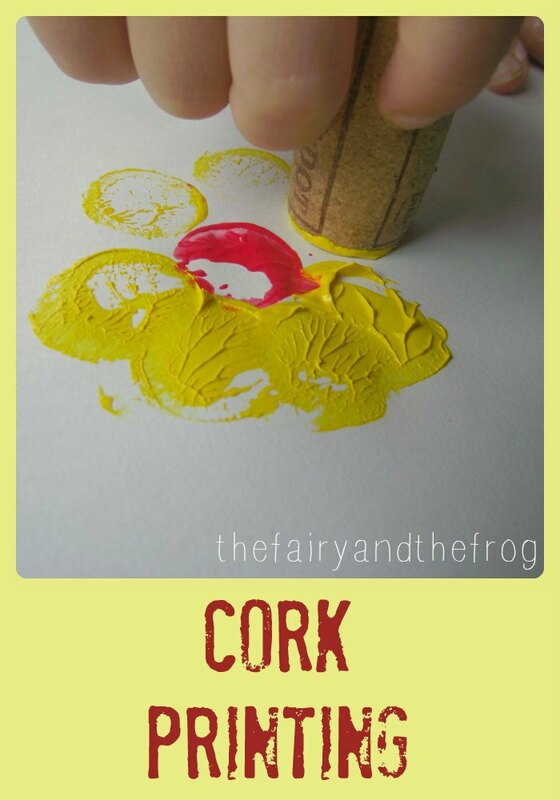 Printing with corks is another easy way to produce art work with paint. 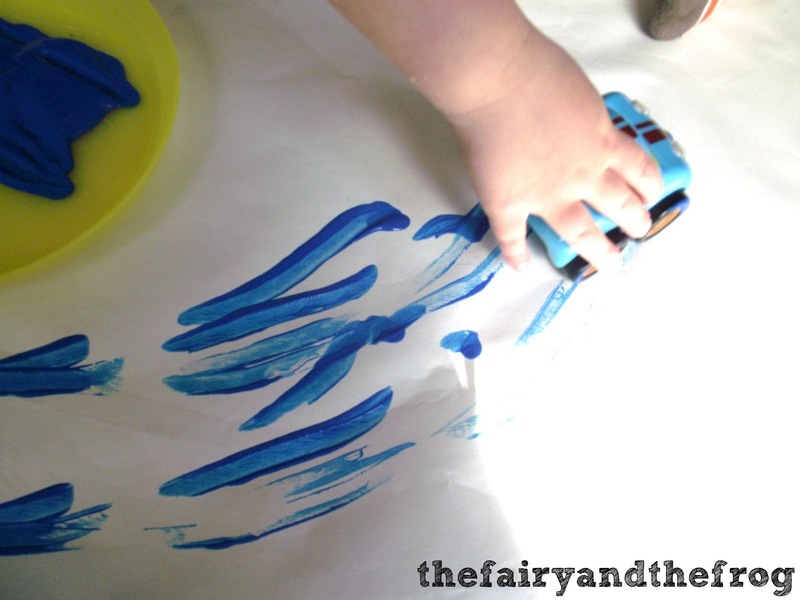 I set up an 'invitation to create' for The Fairy consisting of paint, paper and corks, showed her how to make a print and let her loose. The first thing she printed was a flower (not surprising consider the amount of time we have been talking about gardening in our house lately). 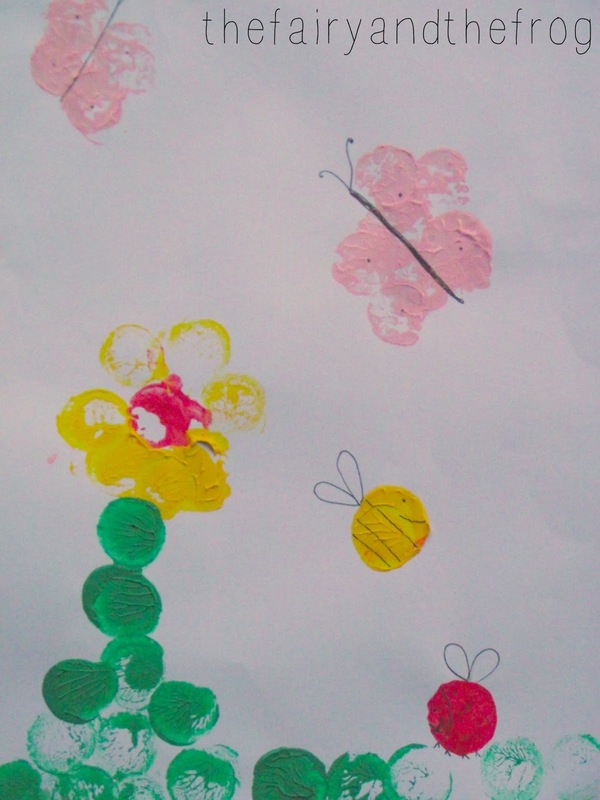 I then suggested she added some mini beasts (bugs) and we talked about the best way to make them. When she saw me add detail with a pen she wanted to have a go. We joined in with some other craft bloggers taking about how me use cork in craft . Click here and have a look. Hello and welcome to this week on Monday's Parenting Pin It Party. This week it's my turn to choose my favourite posts to share with you all. 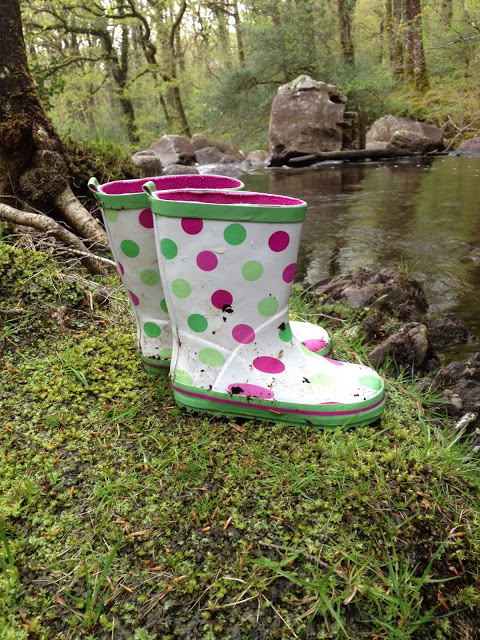 I'm very envious of Missie Lizzie and her fab holiday to Wales. All those mountains, trees, streams, sea, beaches, fresh air and space it's perfect. I always find my kids are calmer when we're outside (or perhaps I'm calmer so they are calmer). I love how honest Missie Lizzie is when talking about the wanting her daughter to experience a 'proper childhood adventure' whilst wanting to protect her child from harm. 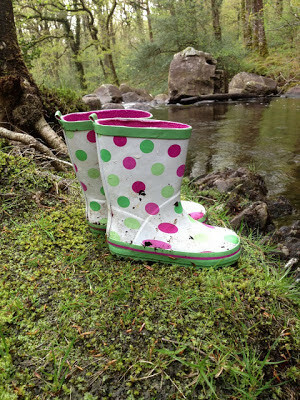 Sticking with the theme of enjoying the great outdoors my second pick is from The Prince, The Pirate and The Dinosaur. I love their flower painting and how they have displayed the finished result. Now its's your turn. If you blog why not join in with party (you never know next week it might be your post that's featured). It’s really very easy. Every week 6 family friendly bloggers club together to organise The Monday Parenting Pin it Party. This week's the party is hosted by Yellow Days . Why not visit her to see which fab ideas she has chosen from last week's entries (you never know if you linked up it could be you!). She also has all the 'rules' for the party (don't worry there's not loads of them). The parenting pin it party is also hosted by Yellow Days, Romanian Mum, Mummy's Little Stars, Mum of One and Mamasaurus. Don't forget to link up!